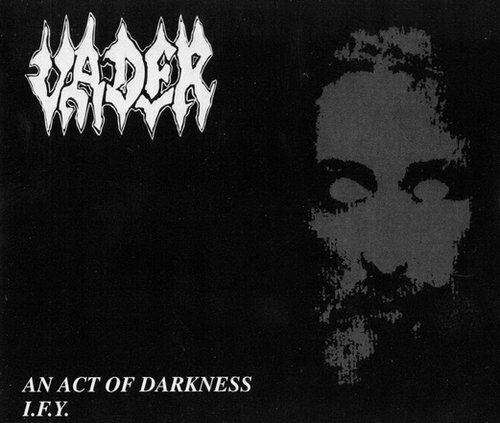 Vader > An Act of Darkness / I.F.Y. There are no reviews for An Act of Darkness / I.F.Y. yet. You can write one. Single off of the album "De Profundis". Also released in Poland by Croon Records in cardboard cover. Catalog number: CsCD-002. Matrix number: DADC Austria I-F-Y. 12 A0. IFPI numbers: L552 and 94B6. Recorded at Modern Sound Studios, May 1995.